A view of the Northern part of Saipan, Northern Mariana Islands. I made the attempt to photograph the moon setting into the West. The photographs didn’t turn out very well due to clouds in the distance. As I packing up my gear, I noticed that the Sun was making its ascent. This picture was my favorite because of the colors. 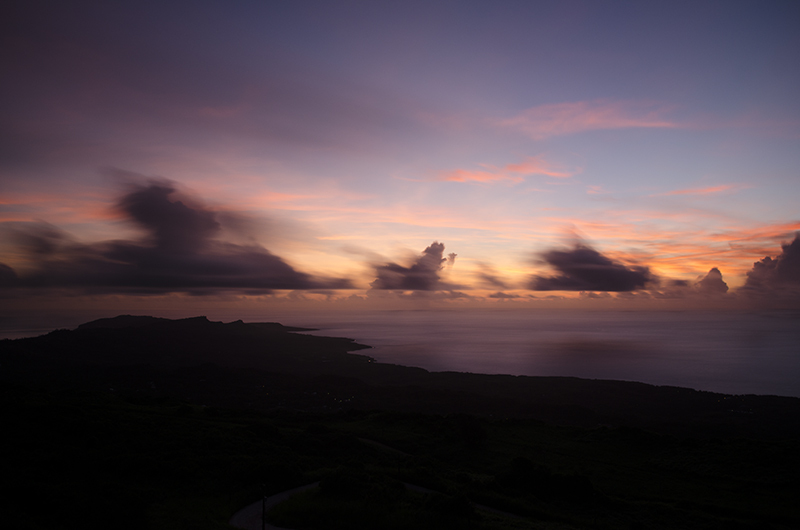 You have the silhouette of Saipan contrasting with the orange, red, and yellow hues.